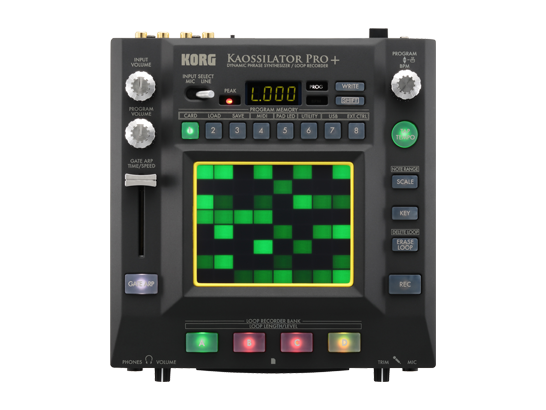 Click here for YouTube videos featuring KORG Kaossilator. 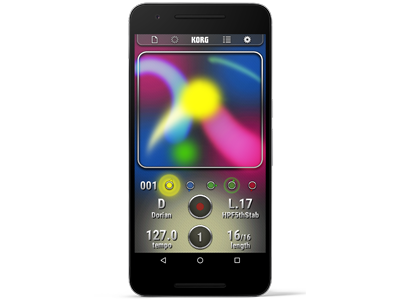 Kaossilator uses the unique X-Y interface. Create melodies and phrases simply by stroking, tapping, or rubbing the touch screen with your finger. Move your finger horizontally in the screen to control the pitch, and move vertically to control elements of the synthesizer sound. Musical knowledge is not required. Simply move your finger as you feel, and you'll be creating cool music that's unique to your performance style. 150 diverse sounds covering many music styles. 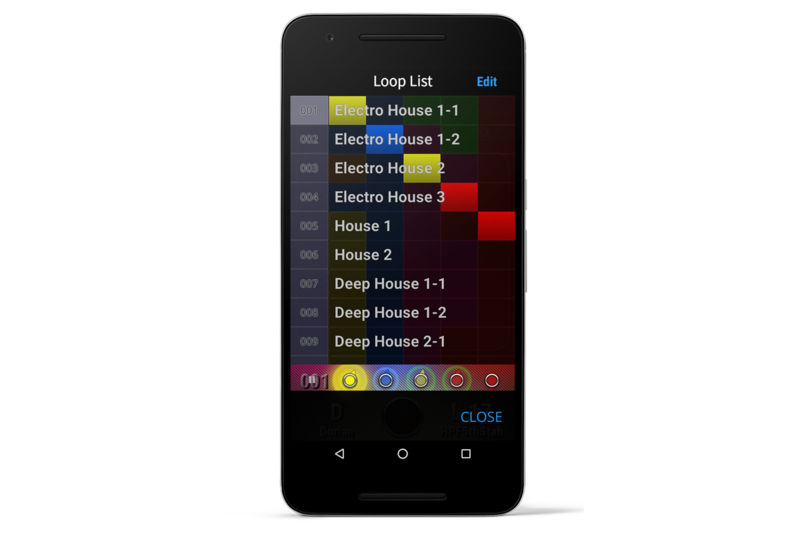 Use the 150 built-in sounds to perform and produce a broad range of dance music styles including EDM, hip-hop, house, techno, dubstep, nu-disco, and electro. Enjoy the synth leads and synth bass sounds, as well as acoustic sounds that simulate piano or guitar, chords, even the popular sound effects used by DJs. 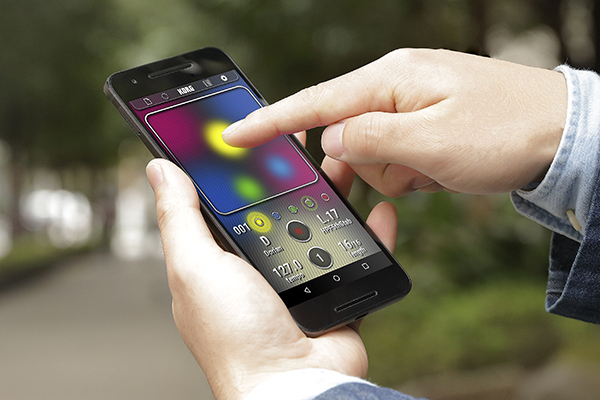 The drum sounds let you play and manipulate various patterns simply by moving your finger. 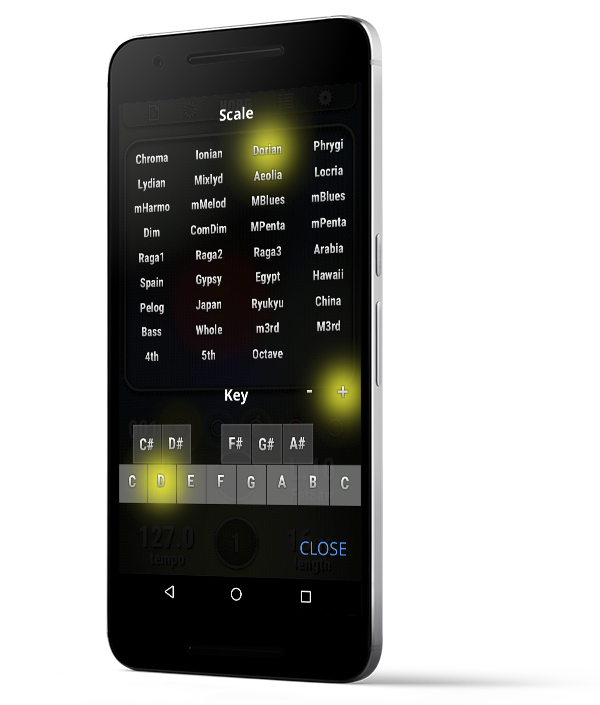 Scale/Key feature eliminates any wrong notes. 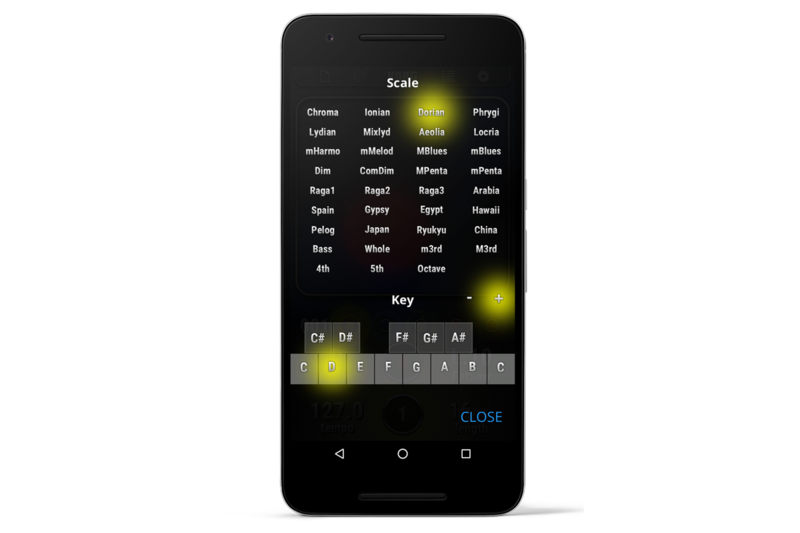 The Scale setting ensures that the notes of your performance will stay in the key you’ve specified. Choose from 35 different scales including chromatic, major, minor, and even blues scales. When this is used in conjunction with the Key setting, even phrases that would be difficult to play on a keyboard can be played with a single finger. Spanish, Ryukyu, Raga, and the other unique scales are also provided, allowing for distinctive and traditional phrases. Loop sequencer for easy track-making and live performance. The built-in loop sequencer lets you layer up to five musical parts. By recording sounds such as synth, bass, chords, sound effects, and drums into each part, you can quickly complete original loop tracks that are distinctively your own. Fifty loops created by professional musicians are built-in to help you get started quickly. In addition to its track-making capabilities, this loop sequencer is also a great feature for live performance. The Mix Play feature makes it easy to enjoy live remixing; you can switch seamlessly to another loop or extract a specific part from another loop while the playback continues. Flex Play makes it easy to generate fills and breaks. 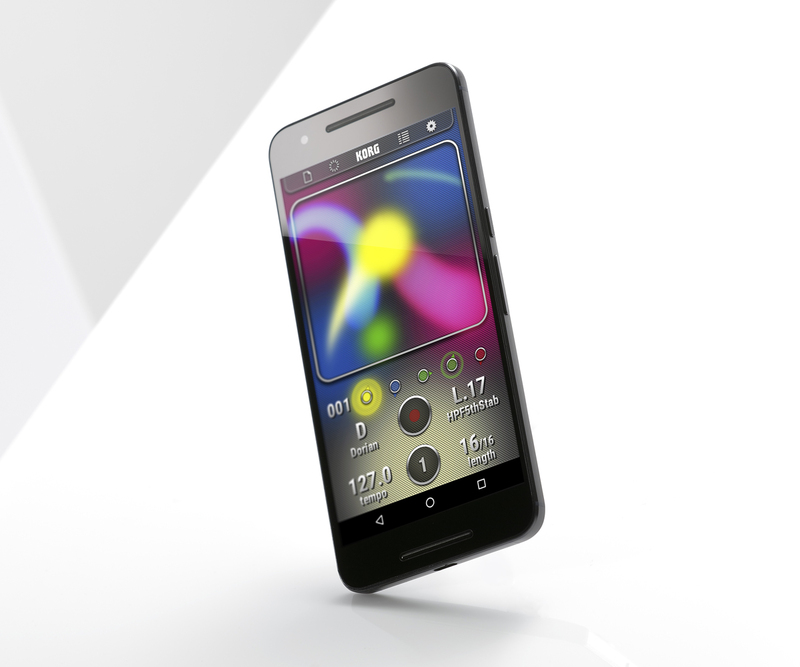 The Flex Play function lets you add dynamic changes to the songs you play. Tap and hold Length or Tempo, and move your finger across the touch panel to dramatically change the loop's tempo or length. You can use this to instantly generate a fill or break as an accent for your performance. Audio Export saves your performance as a file. Now you can record your performance in real time, or export a completed loop as an audio file. By exporting your creations to Google Play Music, you can use them in a full-fledged music production. Audio loop import also allows effect play. Existing audio loop files can be imported into each part of the sequencer. In addition to simply playing back an imported audio loop, you can use a filter effect assigned to the touch panel to modify the sound of the loop in the same way of the KAOSS PAD. 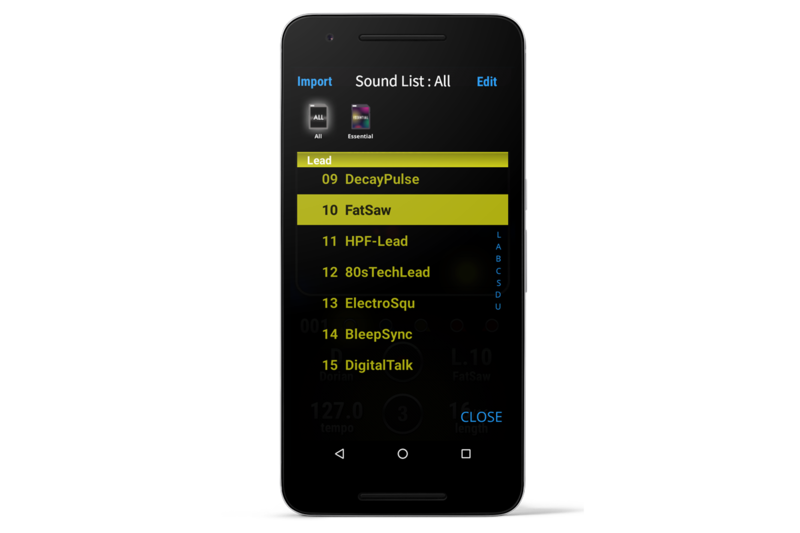 To import, simply send your audio loop file to the /Music/kaossilator/ folder of your device, and then import it via the import menu of the sound list (sound selection screen). An audio loop that you exported from within Kaossilator can also be re-imported into a part. 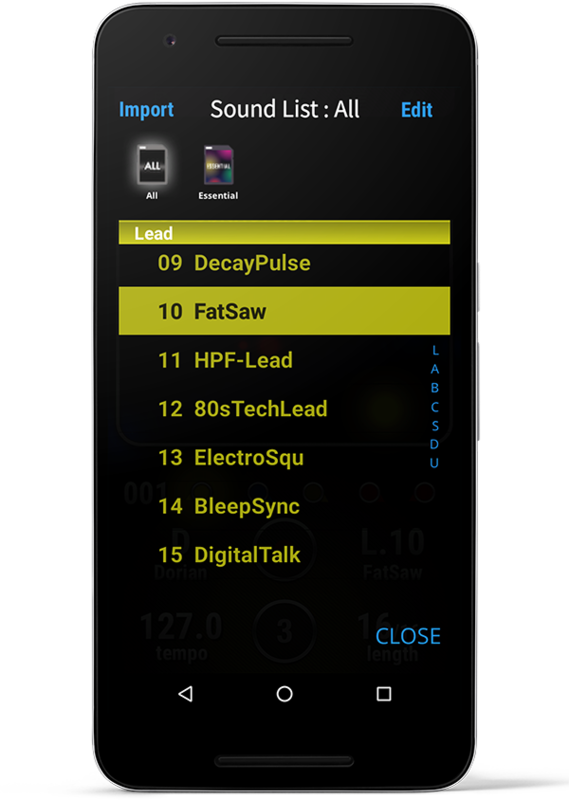 * “KORG Kaossilator for Android” has some functions different from the iOS app “KORG iKaossilator for iPhone and iPad”. 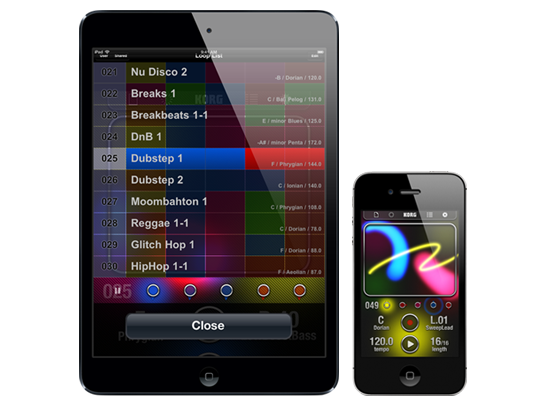 The Kaossilator app for iOS that you can enjoy on iPhone and iPad. The Kaossilator that lets you make music intuitively with loop recorder in linked with Ableton Live. 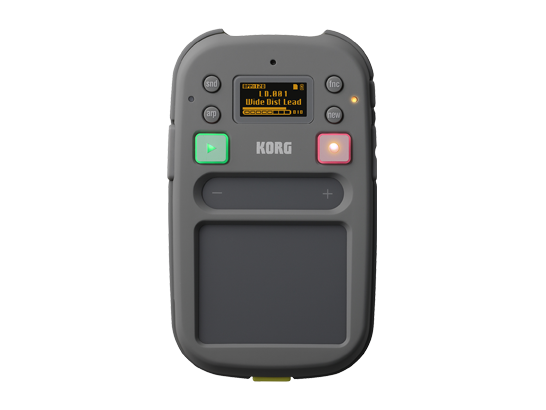 The advanced Kaossilator that lets you play highly live performance and track-making. 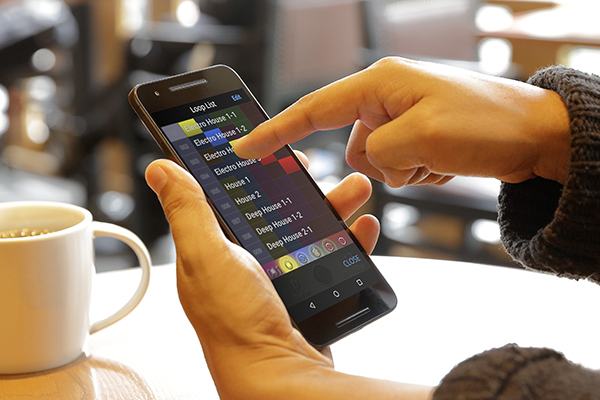 Register for the KORG app News Letter so that you won't miss the latest news and information about KORG Kaossilator for Android. 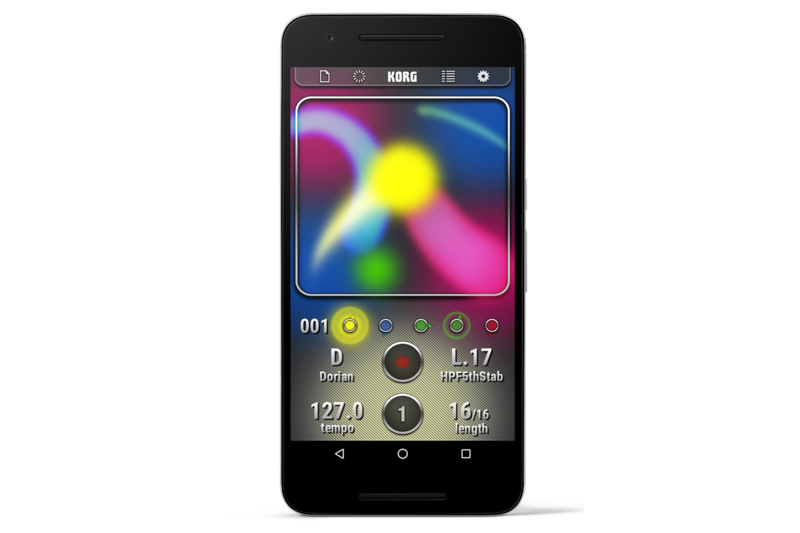 KORG Kaossilator for Android is available for download purchase from the Google Play Store.